The pro-Kurdish Peoples’ Democratic Party (HDP) deputies Hüda Kaya and Meral Danış Beştaş were detained early on Saturday as part of the crackdown against Turkey’s Kurdish political movement. According to a tweet posted by HDP Adana deputy Beştaş, a group of police officers raided her house late on Friday night. Hours later, HDP Diyarbakır deputy Ziya Pir announced that both Beştaş and Kaya were detained. Pir also noted that police did not detain HDP Iğdır deputy Pervin Buldan. According to another tweet posted by HDP spokesperson Ayhan Bilgen, deputy Kaya was handcuffed in Afyon and taken to Diyarbakır province through İzmir for a court case on Saturday. Kaya’s detention comes after a court in Van province on Friday issued arrest warrants for HDP deputies Lezgin Botan and Adem Geveri. 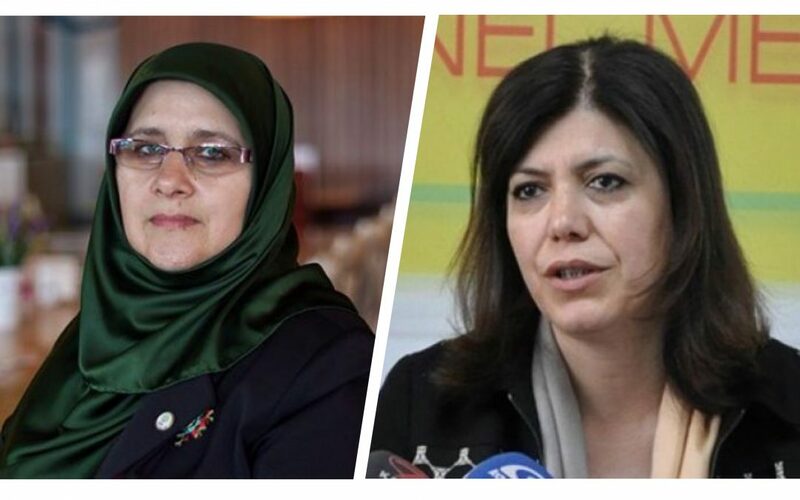 The two Kurdish deputies are also banned from travelling abroad.